Ever since I saw that movie about the giant snake that ate people in the Amazon River, I’ve put my visit to South America on hold. As beautiful as the region is, it’s not quite enough to risk being swallowed whole by a mutant serpent. Fictionalized accounts aside, I hear there are mosquitoes the size of chihuahuas, which doesn’t sound like much of a vacation perk to me. Luckily there’s the recently released app Lulu in the Amazon, a virtual tour of the geographical wonder without the long plane ride, itchy red bumps, and killer snake threat. 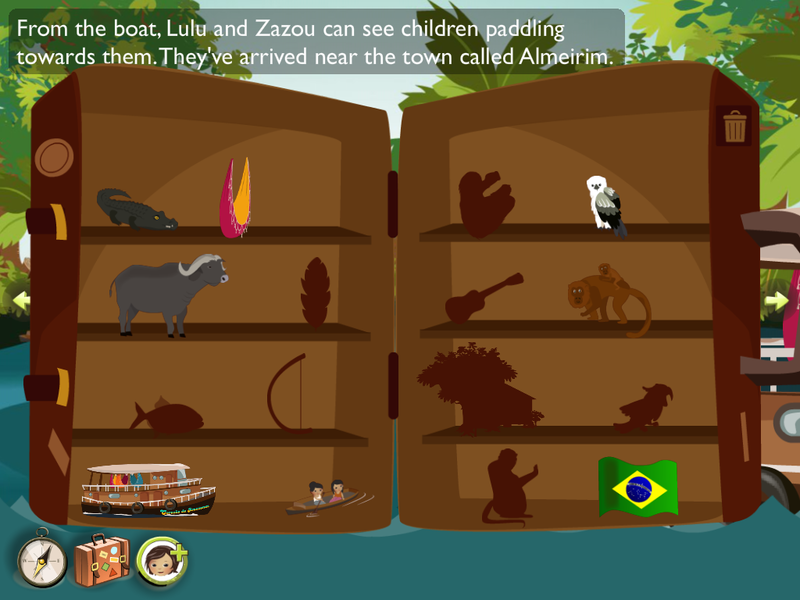 Part book, part game, Lulu and her talking cat Zazou travel the river seeing sights, hearing sounds, an meeting the natives. Both kids played this app together, which means the end of the world is near. (Kidding!) It actually means that not only is it easy and interesting, it’s also well designed and executed to appeal to wide age range. Narration of the written words helps non-readers follow along, and there is so much touch-screen interactivity that they were never bored discovering new sounds. In fact, they started to get concerned that maybe they were missing something. Along the journey they collected souvenirs of their trip, like a parrot or some postcards, which are collected in a suitcase and used in the final game (which we haven’t yet gotten to). Downloading for $4.99 this app may be a little more expensive than the average digital book on the market, but it also offers young players a lot more than the average digital book has to offer. The best part? There’s no killer snakes. – Universal application, pay once and use this application on all your iOS devices. 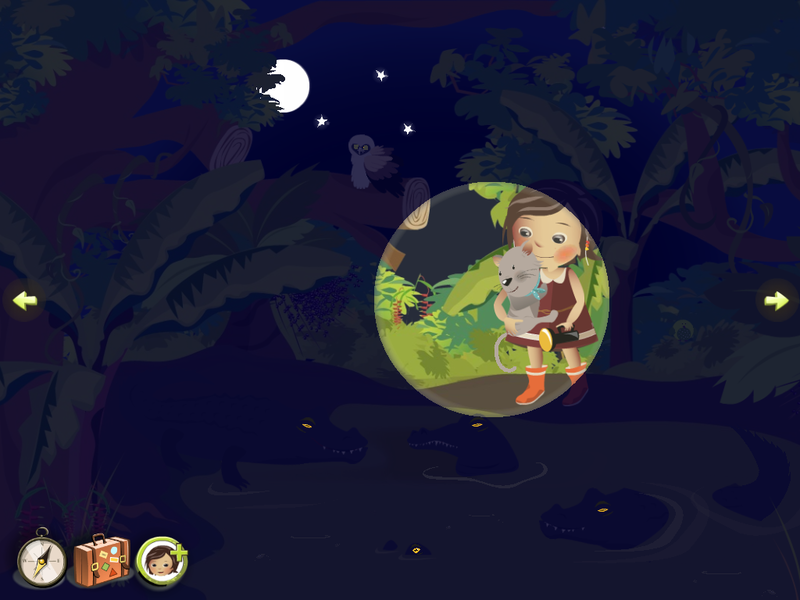 – Beautifully illustrated with realistic sound effects and the voices of professional actors. – Filled with fun and laughter. – 30 minutes of enjoyment, and your child will want to read it again and again. – Lush, vibrant graphics – so much to look at! 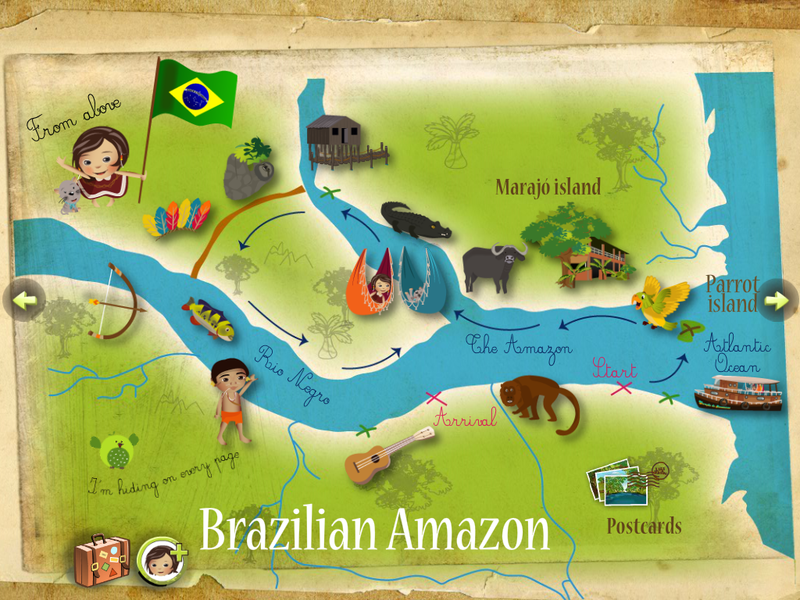 Travel the Amazon with a girl and her cat in this comprehensive learning app.